The Centre for Water Infrastructure and Sustainable EnergyFutures (WISE-Futures) atthe Nelson Mandela African Institution of Science and Technology (NM-AIST) is oneof the Eastern and Southern Africa Centers of Excellence (ACE II) to strengthen African higher education institutions to deliver quality post-graduate education and build collaborative research capacity in the regional priority areas. viii. Performing any other duties and responsibilities as may be assigned by one’s reporting officer. 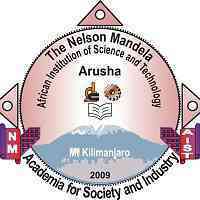 WISE-Futures, Nelson Mandela African Institution of Science and Technology [NM-AIST], Tengeru - Arusha, Tanzania. Deadline for application is 30th April, 2019.Recruitment will be as soon as possible. Please mention the position in the e-mail headeror on the envelope.